This iron hat is based on one of the many helmets of that type depicted in the Morgan/Maciejowski Bible. 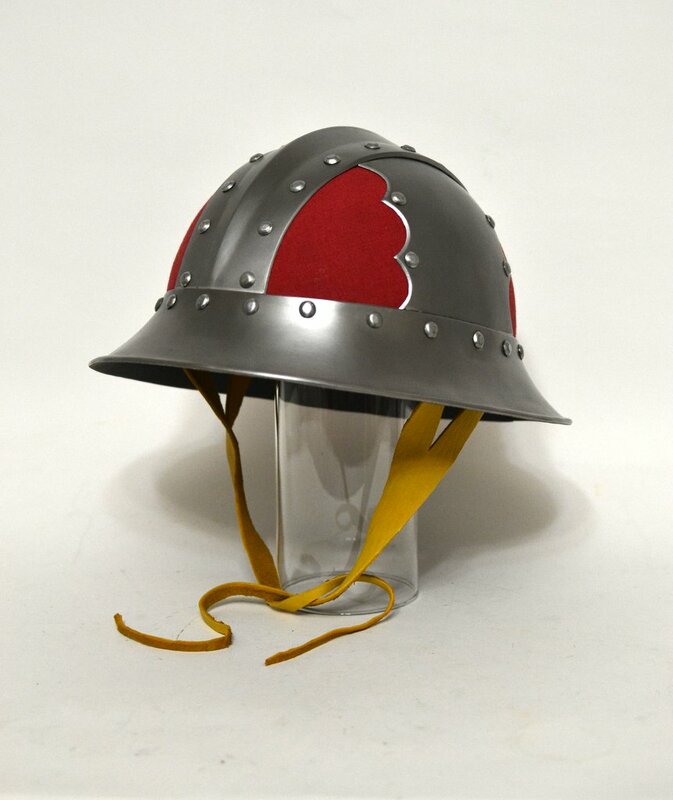 A notable feature of helmet depictions from that period is the colour contrasts, which were probably arrived at by a variety of means. For the helmet shown, colour was added to the infill plates by covering them in plant-dyed linen cloth, supported by the evidence of fabric found between layers of an extant contemporary Norwegian iron hat. Some other possibilities would be heat colouration, painting, or metal leafing, which we would be happy to consider for a future project. 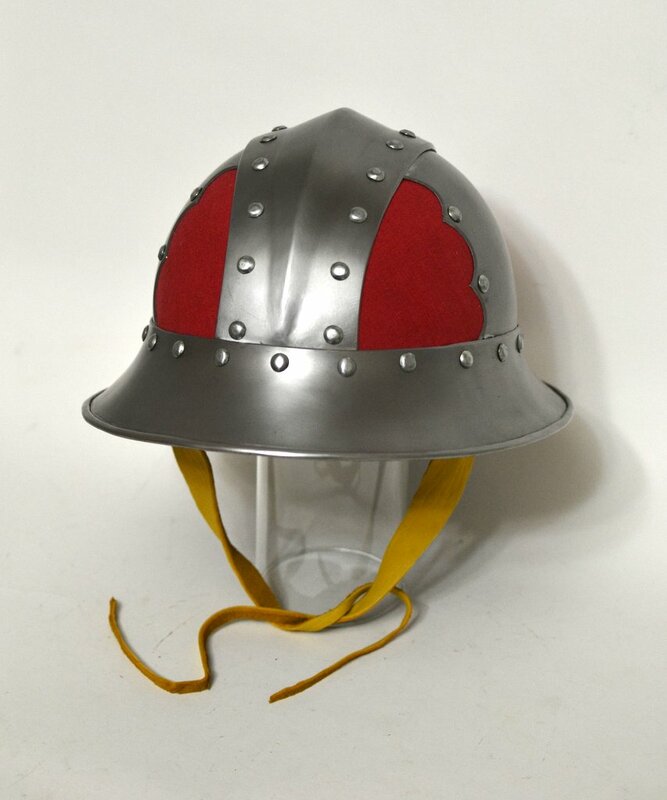 The helmet can be supplied with a separate hand-stitched arming cap, based on depictions in the same manuscript, for US$150.